Exquisitely hand knotted using premium wool in Nepal, the Alpujara design from the celebrated handmade carpet manufacturer Lapchi is luxurious and unique. Handwoven with 150 knot wool and 45% fine silk, this sophisticated carpet showcases a light, soft pile finish and average thickness. 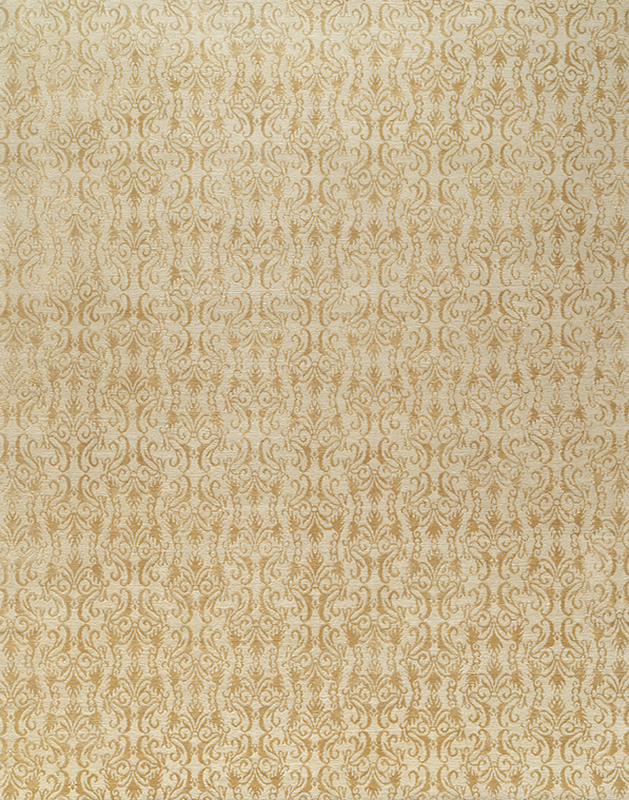 The masterful craftsmanship and gorgeous warm tones of this transitional piece add grandeur to the timeless and elegant damask pattern. This beautiful rug is a stunning piece, blending classic motifs with bold and rich hues.